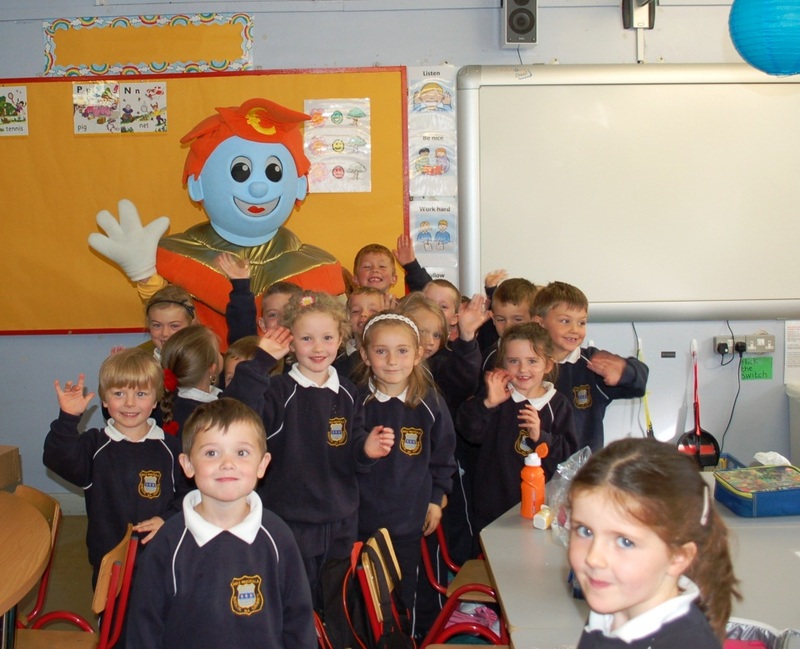 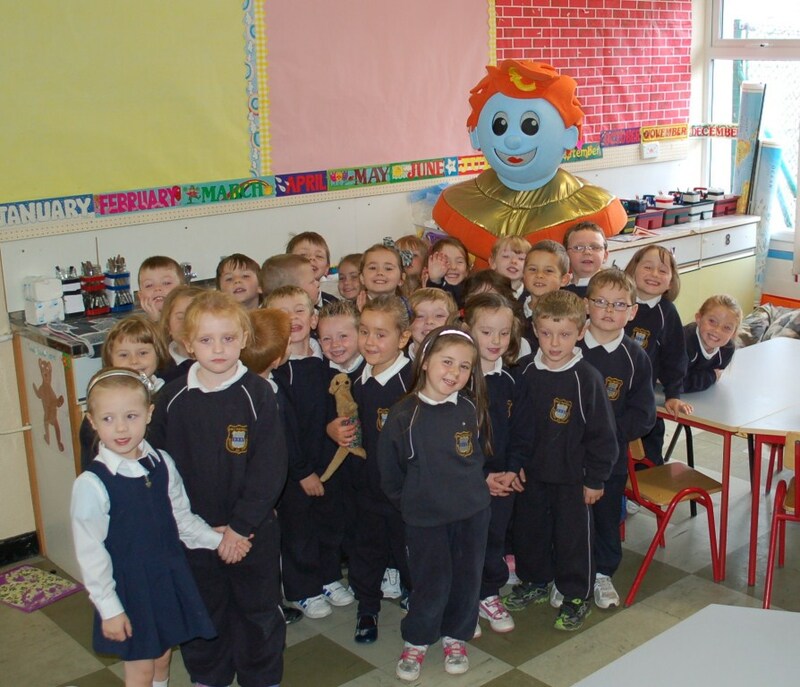 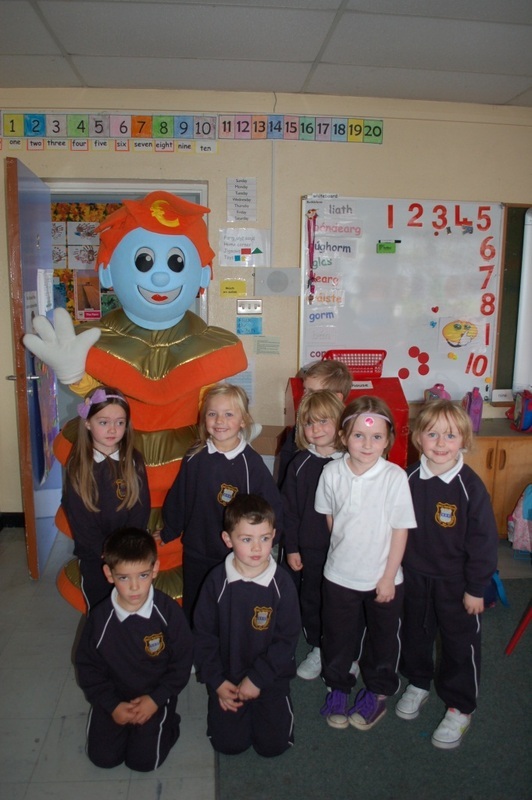 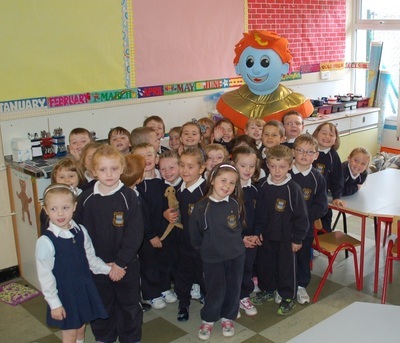 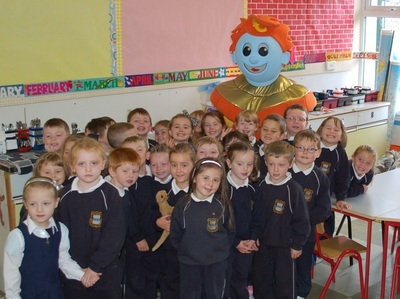 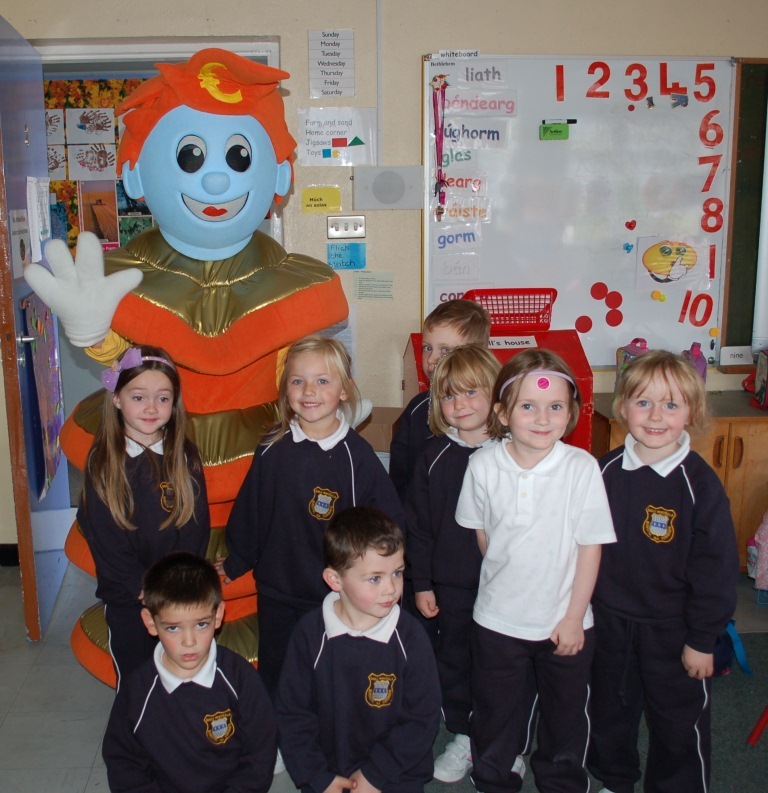 On 18th September Sammy Stamp from our local Credit Union visited our Junior Infants. 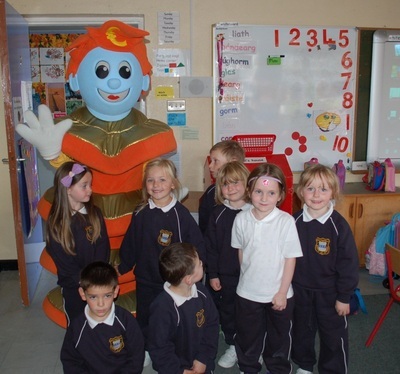 He encouraged them to save by buying saving stamps each Friday in school. 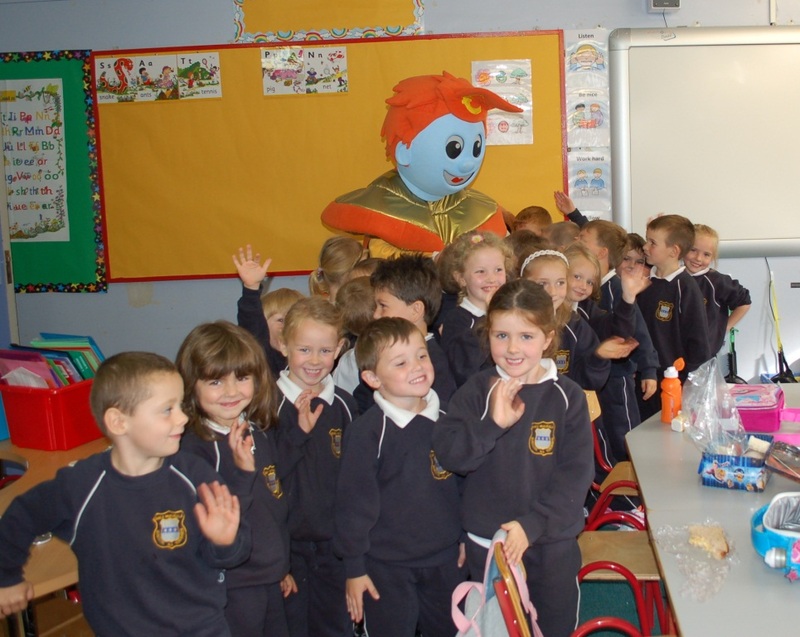 The children were delighted when he gave them a badge and pencil parer each.